What is the smart sidebar on your website? Does it help your visitors move through your site and access your most important content faster and easier? We are going to show you how to create and customize a smart sidebar that would help you accomplish your website goals. 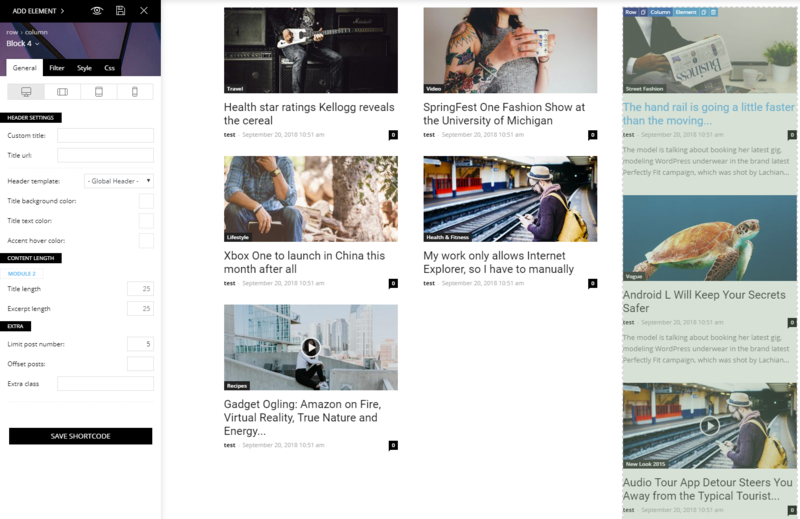 With our theme, you can set up and assign different sidebars to different pages, categories, and posts. This gives you endless opportunities to add value to your website. The smart sidebar is an affix (sticky) sidebar. This means that it stays in the viewport while scrolling the content. 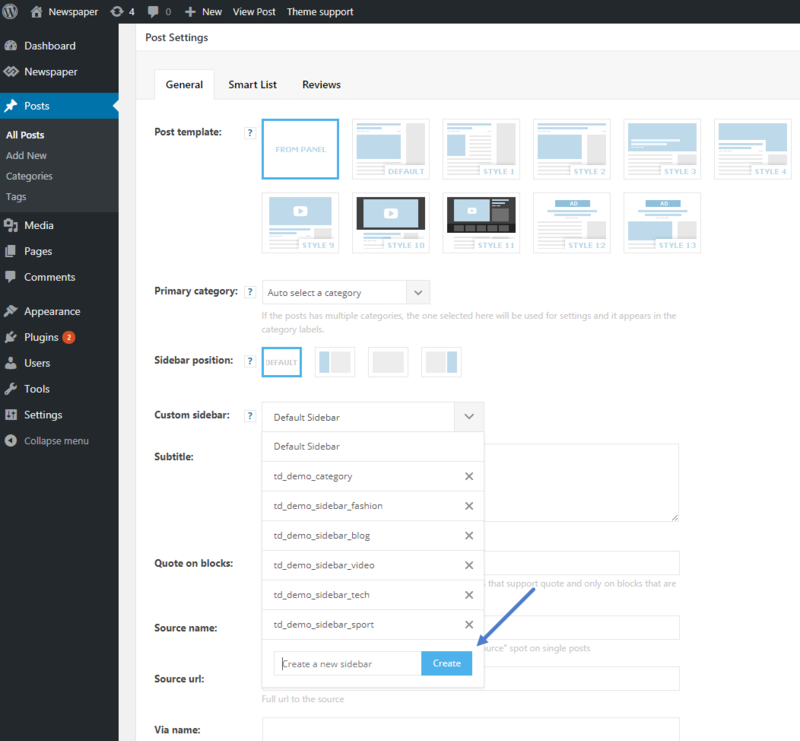 It can be enabled sitewide on all the pages that have a sidebar, assigned to a post or it can be activated on a row using the tagDiv Composer page builder. 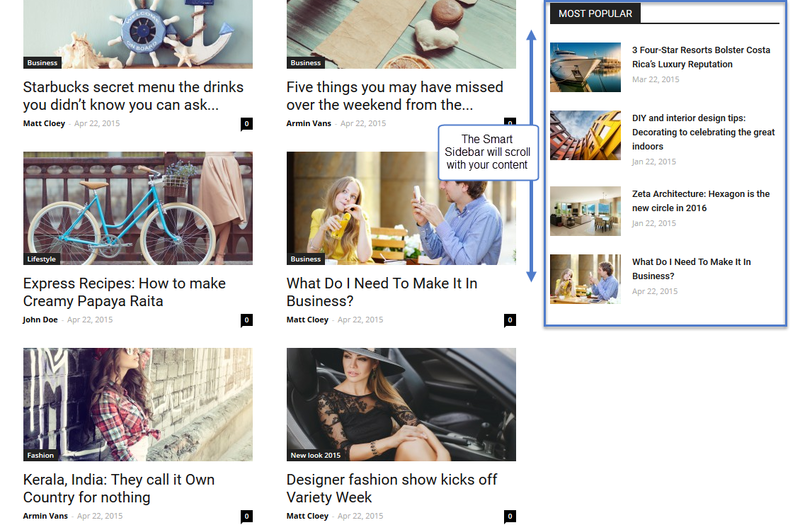 You can create a new sidebar from three different locations. This sidebar will apply on the entire website, where you use that particular template. The sidebar will apply only to posts that category and the category page. 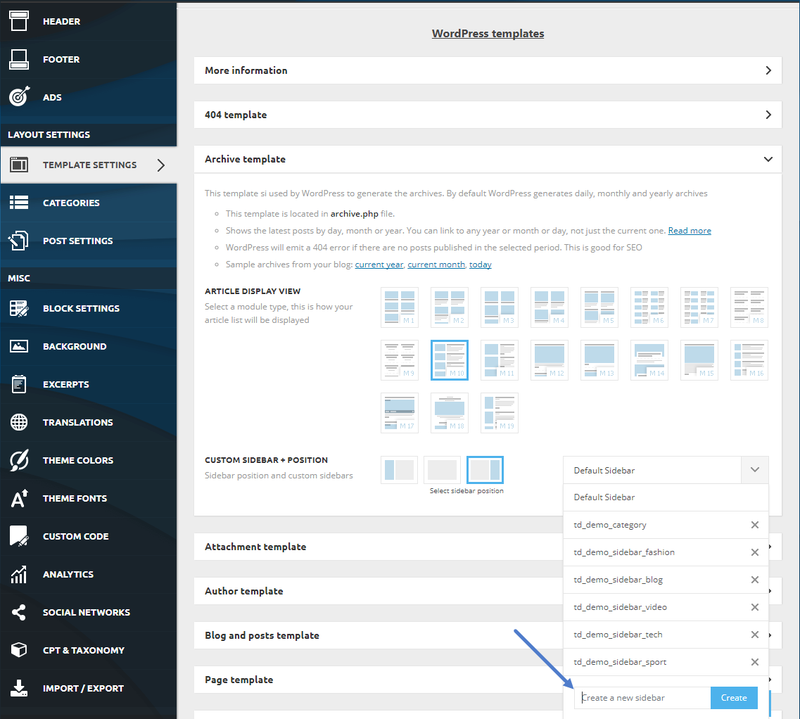 The content on the sidebar is found in the WordPress > Appearance -> Widgets, where you can see all the existing sidebars and assign new widgets to them. 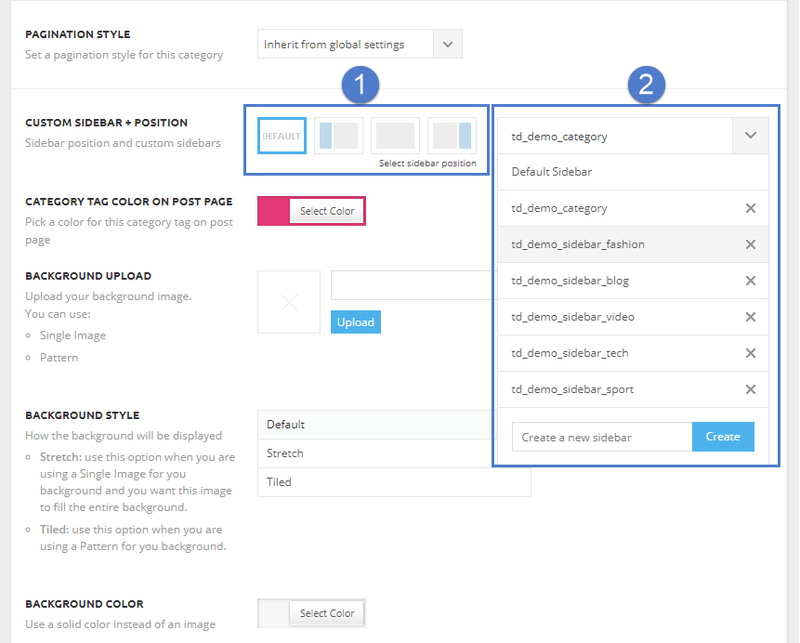 To assign a sidebar to a specific post, category or a template, you have to use the sidebars settings for each case in particular. First, choose the sidebar position and then click on the desired sidebar from the drop-down list. The “default” sidebar position means the sidebar will inherit the one set on the general template. Example: On the post template, the post will look at the primary category settings and it will try to get the position from there. 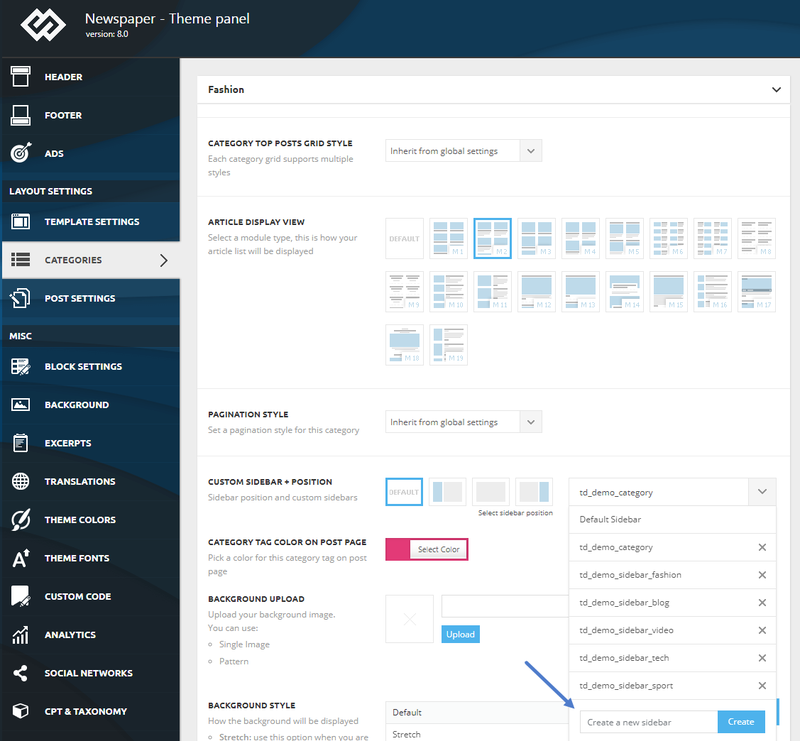 If the primary category does not have a custom sidebar position, the post will load the option from Template Settings > Blog and Posts template. 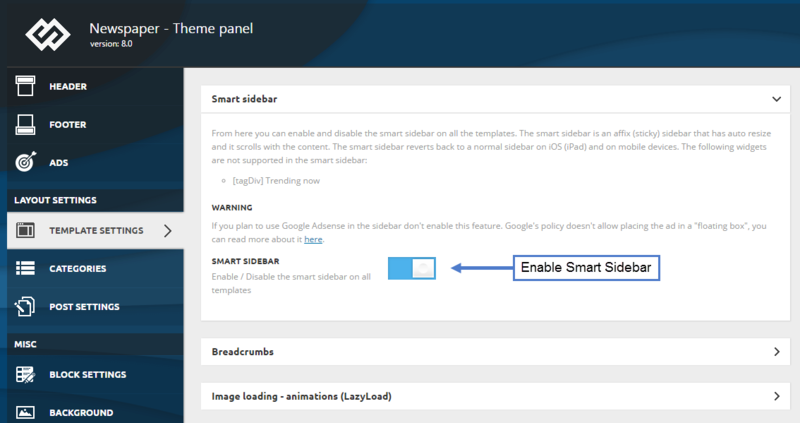 To Enable the Smart Sidebar you need to navigate to the Theme Panel > Template Settings > Smart Sidebar and activate the button. Note: The smart sidebar reverts to a normal sidebar on iOS (iPad) and on mobile devices. On custom built pages you have to access the column setting and activate the sticky option for the column you want to scroll with the content. 2. You can create a sidebar by splitting a row in a 2/3 + 1/3 column layout and adding content directly into the column.